When the full moon rises, werewolves howl. The rule is simple: hunt, or be hunted. But what does it take to be not the prey, but the predator? What werewolves are strong enough to strike fear into the hearts of their brethren — and what else hunts the night? 29 terrors and beasts to plague the Forsaken, or anyone else luckless to become their prey. 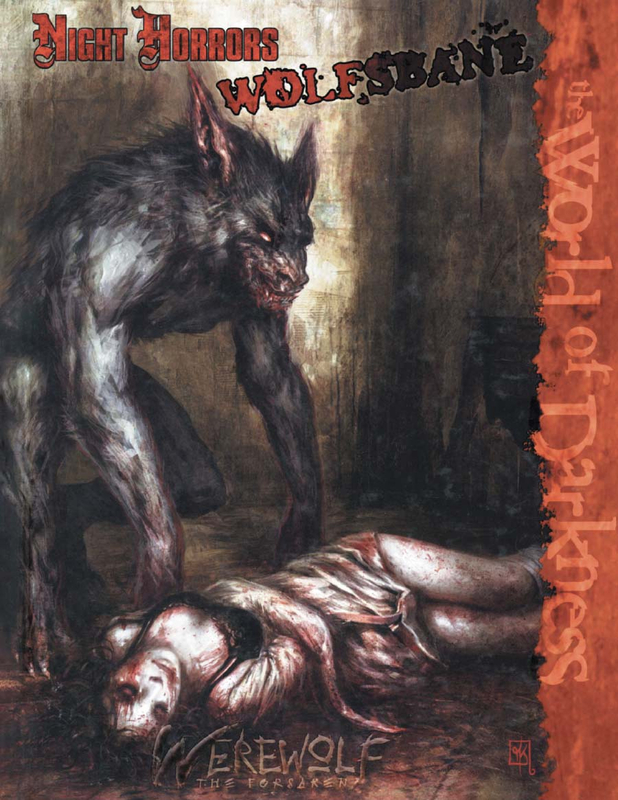 Creatures designed for use with Werewolf, and antagonists suitable for bringing the feel of Werewolf to other games. Details on the idigam, the primordial horrors often whispered of but never before revealed. Does this work for 2nd edition? This title was added to our catalog on September 02, 2009.